1In a large pot, add wheat berries and cover with water so there is 2 inches of water above the wheat berries. Heat over medium heat, covered. Bring to a boil, stirring frequently. 2Meanwhile, prepare the remaining berries by rinsing. Chop mint leaves and set aside. 3Whisk together the maple syrup and lime juice. 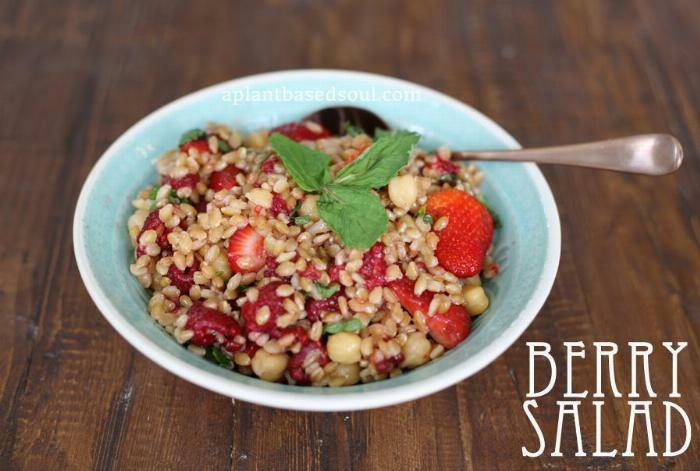 4When the wheat berries are soft, add to a large serving bowl and let cool for 10-15 minutes. Add remaining ingredients and stir to combine. Keep in the refrigerator until it is time to serve. Serve chilled.